I think if something is "crap", then being terrible is kind of a given. Marvin Gaye to ... this? Ahahahah! Well spotted, the number of "1" of that profile is impressive indeed. Why does he/she keep listening, I wonder? That might mean more if it didn't appear to be your default opinion. The lyrics need some work. I'm getting the impression she *may* look like gold. Or do I mean Belch? Why is this sounding like a 78 played at 33-1/3? Nice and clean acoustic sound (RP trademark). 6. Perfect example for the term, "boilerplate." Such an inauthentic song masquerading as "rootsy" and hyper-authentic. I cannot stand Ben Harper, but apparently I'm alone in this. Happily, you are not. I own every album of his and I continue to not 'get' Ben Harper. Ben Harper mines so much gold. Keep them coming Bill. Good tune from my first and favorite BH&TICs! Funny how only some of us can appreciate him. Thanks RP! Nice feel. Great tasty guitar too. Ben Harper sounds even more pitiful than usual after Marvin Gaye. Two different styles really and maybe a little unfair to both to compare them. But what the hell, everyone is entitled to their opinion, that's why we're here. I like Ben Harper's voice, his funk, his groove. Saw him live at the Voodoo Chile Tour and he was mesmerizing. Is his voice as good as Marvin's? No way. But he is quite gifted nonetheless. His voice is both his strength and his weakness if you know what I mean. this voice remember...... - 7.
always loved ben, never liked this song. every album there was one or two duds it seemed. How is it that this guy who can't sing to save his life gets so many songs played here? Love it. Not a big fan of Bowie's Golden Years, but a sweet transition between Golden Years and Gold to Me. Spot on. I read that as "hit a mule." Which also made sense to me. Slick rythm and guitar licks, but lyrics that make me want to hit mute. Two Ben's in one day...works for me! Howzabout some stuff off his new album? Burn One Down Ben! Sweet tune! Playing here in SB shortly. Too bad no 'munny' for it. GROUND ON DOWN is still Harper's best in my opinion! I really like this guy's drummer. Keeps the beat without hogging the spotlight or laying over everything else. dot feels like aluminum. dot. Flexible, versatile, and strong, if layered, good to have around...yeah , sounds like a good thing. Mithril, myself. one of the best albums of recent (and not so recent) years. 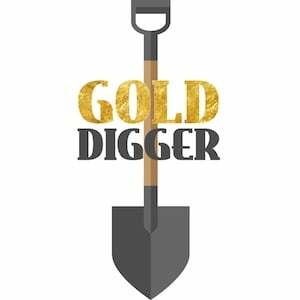 There's gold somewhere under that dross! Just keep looking. that review was entirely superfluous. Every time I hear a new (to me) Ben Harper song, I like it. Maybe one of these days I'll actually buy some! might i suggest that you start with The Will to Live CD...you won't be disappointed. I would like to hear this one a bit more often. As I type this on February 21, Gold To Me has not been played in nearly two months (12/31) It has always been essential Ben and seems to be well liked. A few more spins please? Thanks. For those interested, Ben Harper released his first DVD in January. FWIW, here is my review. (In a nutshell, WORTH it - but don\'t expect a concert dvd.) Ben has a new album coming out in March, I believe. And he just released a DVD. FWIW, here\'s my review of the PLEASURE + PAIN dvd: Ben Harper has organically grown his career over the last ten years through personal and intimate recordings with often great depth of meaning. Couple that with mesmerizing live performances, whether acoustic or rocking, and it is easy to understand how and why Ben Harper has built a very nice sized audience and music career of substance and quality. 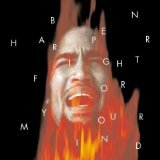 Ben Harper\'s journey through life and music has touched so many listeners because, like most great musicians, he is sincere and honest in sharing his thoughts and feelings. That sincerity and the continuing striving to uncover, reveal and share the emotional travels one must navigate in seeking those universal truths, plus what has become a crackerjack band in \"The Innocent Criminals\" - along with Ben\'s virtuosity, is what makes Ben Harper a special artist. The ultimately hopeful and uplifting message of his music doesn\'t hurt either. His music rises from such a rich soup of diverse influences that nourish his soul so that the spice of \"variety\" is natural and tasty in his music. You won\'t find this kind of soup from Campbell\'s, but it is mmmm, mmmm, good. Good for the soul. In an age of manufactured bands and \"hits\", with one or two decent songs (maybe) on albums, Ben Harper cd\'s can be bought with confidence. Every Ben Harper cd returns great value of many good songs, some great and some even profound. Multiple listenings are richly rewarded. Ben Harper has released four cd\'s of studio recordings along with the \"Live From Mars\" two-cd live set. Get them all, certainly the four studio recordings, at least. Then, absolutely see Ben Harper and The Innocent Criminals when they come to your town. Everything I have said about Ben Harper is elevated exponentially in the context of a performance not just for, but with, an audience. Ben Harper is a great showman not because of tricks or gimmicks but, like all the greats through the years, because Ben and the band communicate. The best performers do this. This is music\'s highest potential, to communicate. And that ability to communicate is what makes Ben Harper, like all the greats - no matter the genre, such a special artist. Oh yeah, the movie. Well, context is everything. So too with the film, \"Pleasure + Pain\". Long time fans will really enjoy getting to know Ben and the band even better. While this is not a concert performance (can\'t wait for a full blown Ben Harper concert on dvd!!! ), there is enough music to allow one to get a sense and feel for the music of Ben Harper. (But you may want to pick up all his cd\'s, just the same. :-)) There are moments funny (Juan is especially photogenic and fun, while Ben does a mean Dr. Evil impersonation) and lovely (Ben talking about his father and performing a newly composed song with his mother, a musician). We also learn about Ben\'s childhood and the musical influences from his parents and his kind, sweet and musical grandparents - the owners of a music store where Ben learned about music and life (same thing, right? - it can be!). I am rambling, but I hope this gives you a sense of what you are going to experience with Ben Harper\'s \"Pleasure + Pain\", but most gratifyingly, mostly pleasure. This a touching film. Whether this is your introduction to Ben Harper or a visit with an \"old friend\", I don\'t think it is possible for the viewer to come away with any feeling beside gratitude. Thankfulness that they saw this and learned more about music, the making of music and that there are still kind, good and thoughtful people like Ben Harper sharing such music. Reminds me of Prince\' Kiss in the verses. Nice feel. Ben Harper is one of the most creative songwriters to come out of the US in a long time! All Hail the King! Originally Posted by jake: I don't understand why everyone raves about this guy. He seems pretty damned boring to me. Major suckage on the vocal. my favorite ben harper song. this is the one that turned me on to his stuff.